Harrisburg, PA – Governor Tom Wolf today thanked U.S. Representative Charlie Dent for his service to the country and commonwealth following his announcement that he would resign from Congress in May. 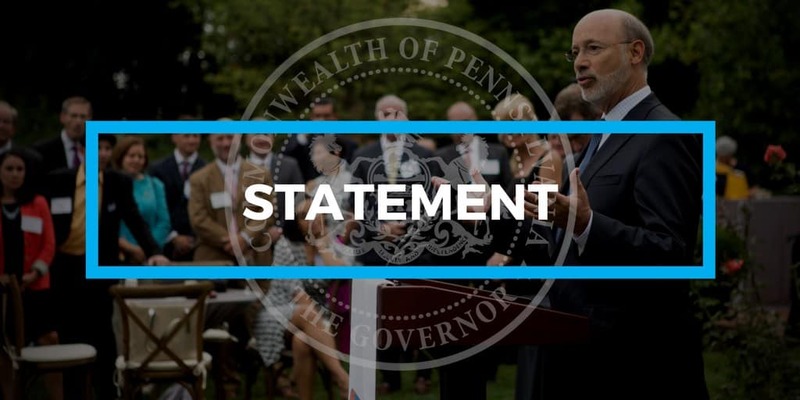 Once Governor Wolf receives an official resignation notice with an exact date, he will make a formal decision regarding scheduling the date of a special election. Pennsylvania’s Election Code requires the governor to issue a writ when the vacancy occurs during a session of Congress or if the vacancy occurs at a time when Congress shall be required to meet any time prior to the next general election. The governor must issue the writ within 10 days of the vacancy to set the special election date. The date of the election must not be sooner than 60 days after the governor issues the writ. Candidates would be nominated by the parties in accordance with party rules. Political bodies may nominate by circulating and filing nomination papers. The winner of the special election fills the balance of term.